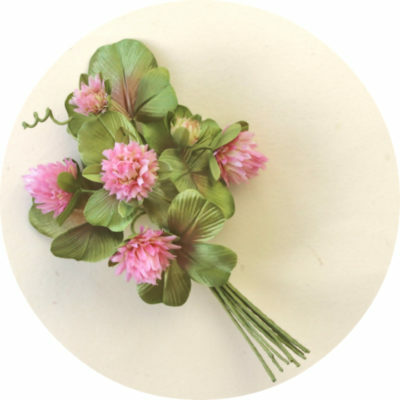 I am well aware of the fact that not every flower making artist (especially a beginning one) has got a set of traditional millinery tools to shape flower petals and leaves. 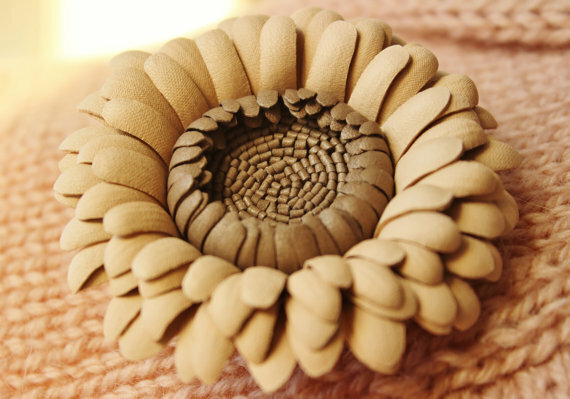 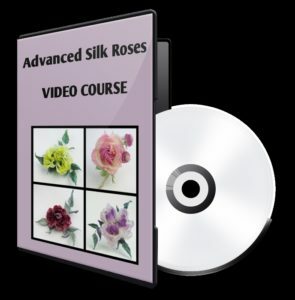 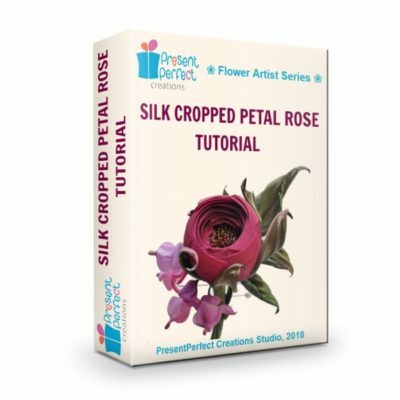 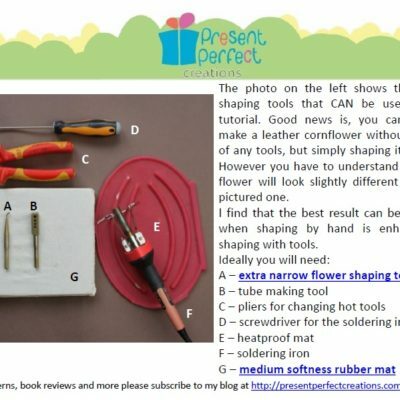 Although this does cause serious restrictions with regards to the techniques that can be used and the final results that can be obtained, there are several methods that could be successfully applied without the use of tools and help make certain flowers. 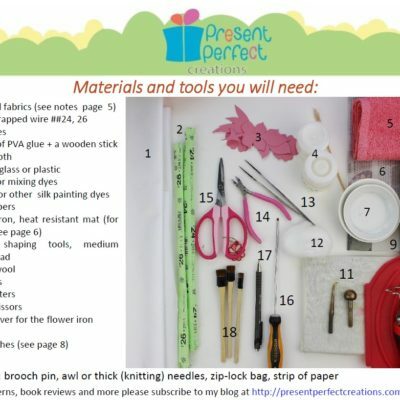 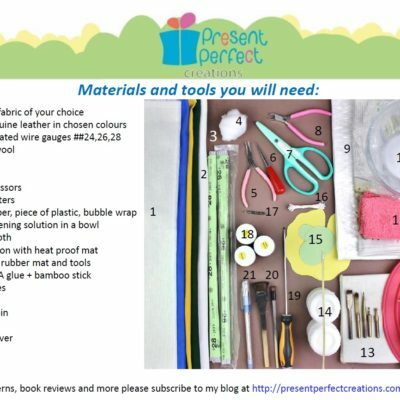 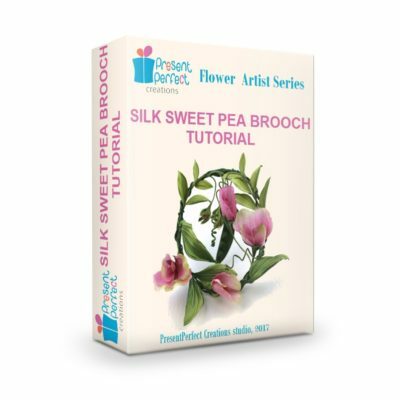 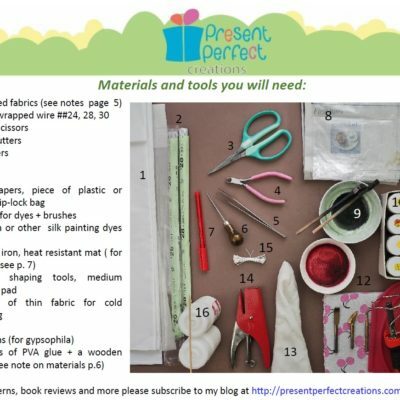 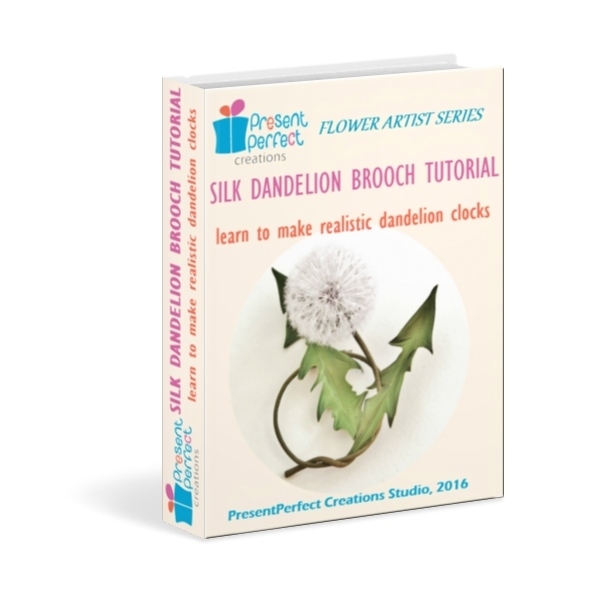 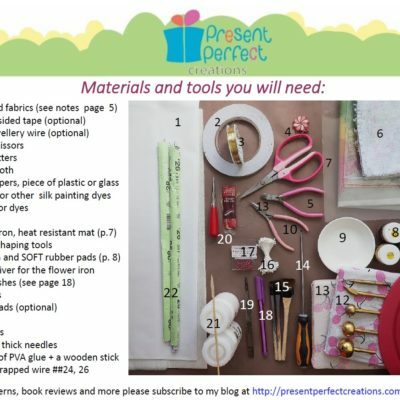 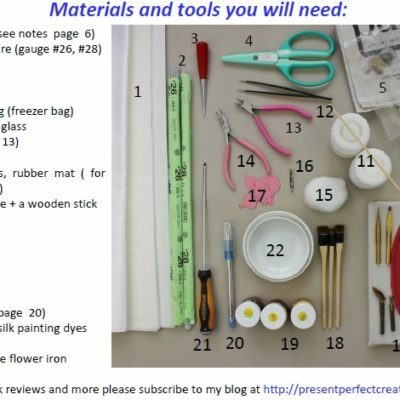 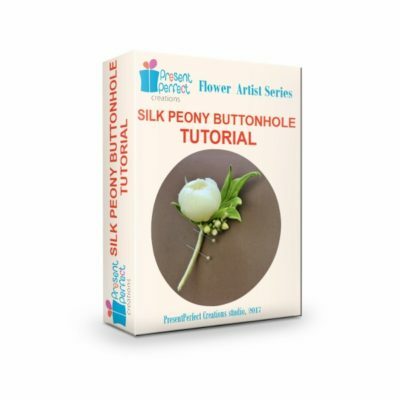 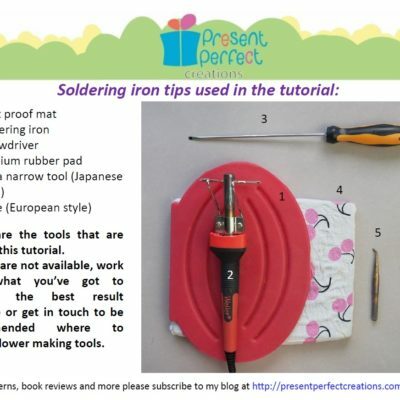 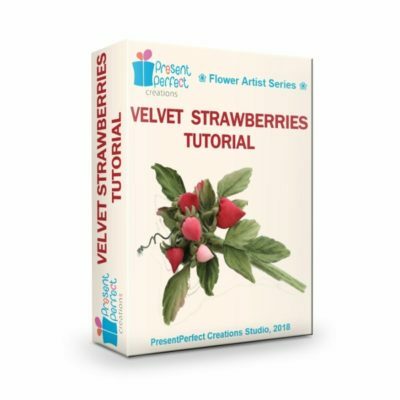 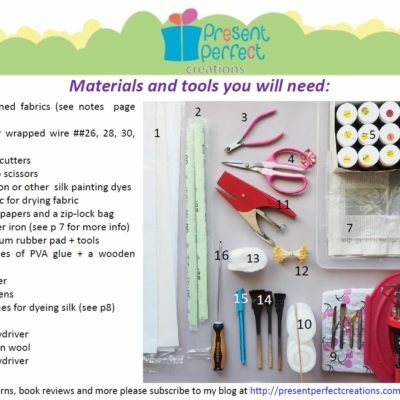 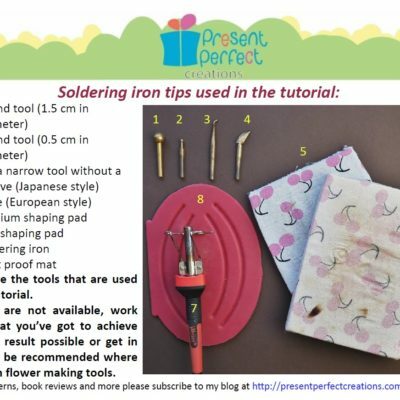 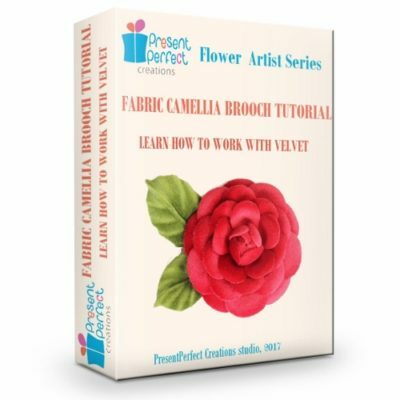 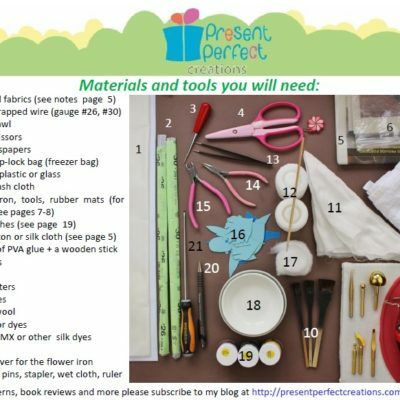 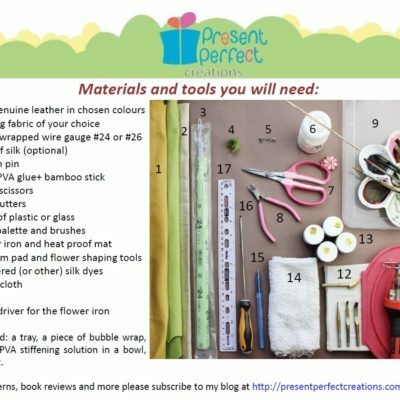 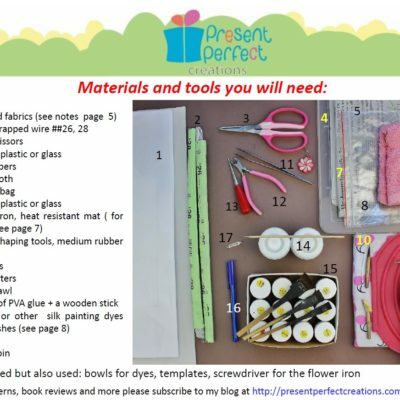 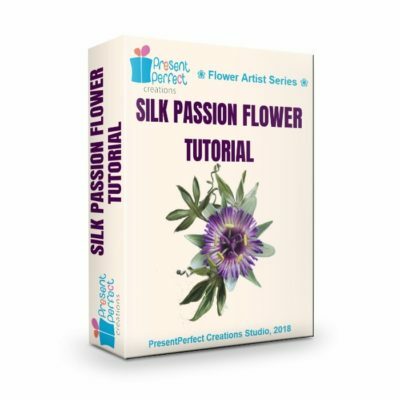 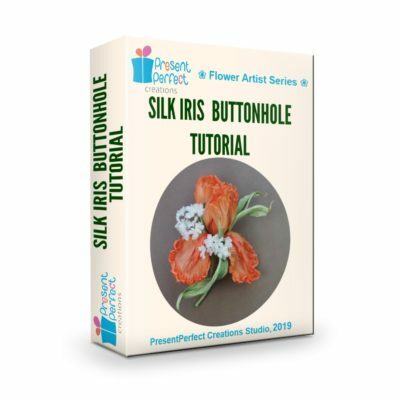 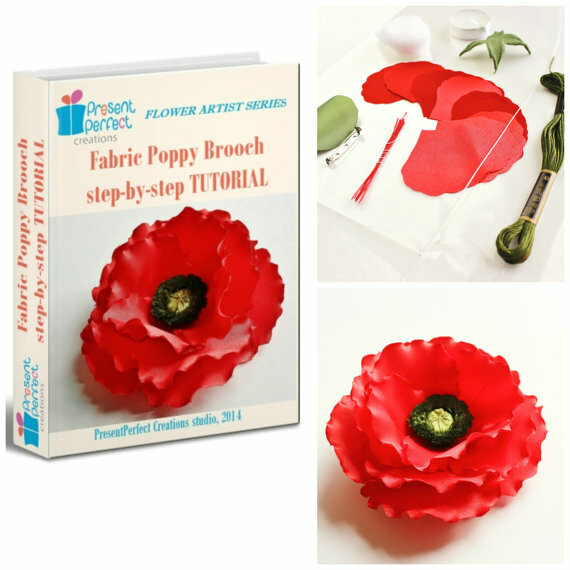 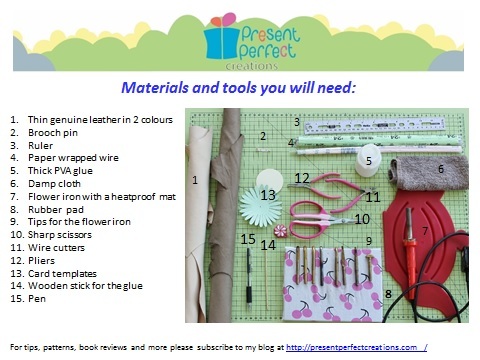 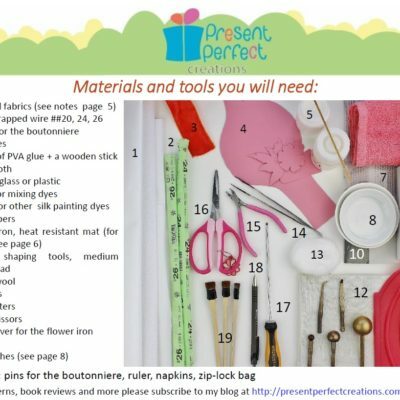 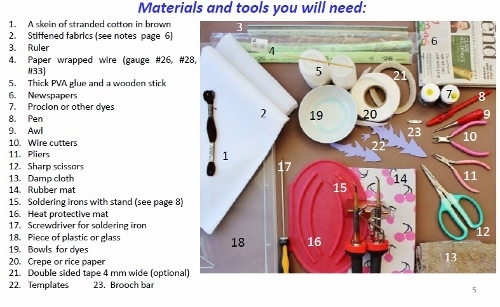 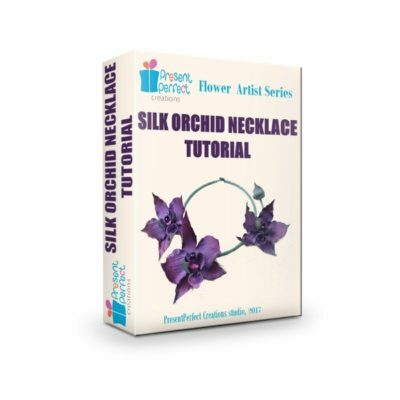 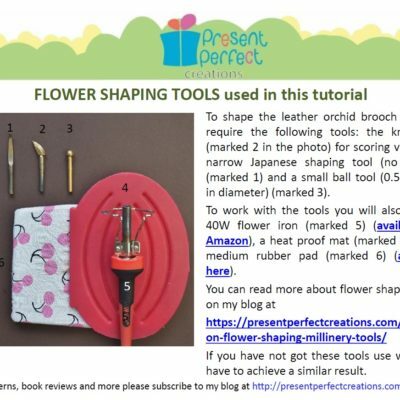 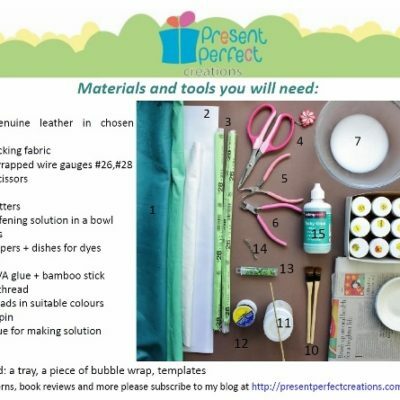 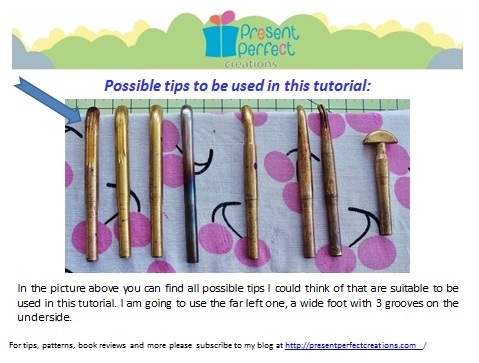 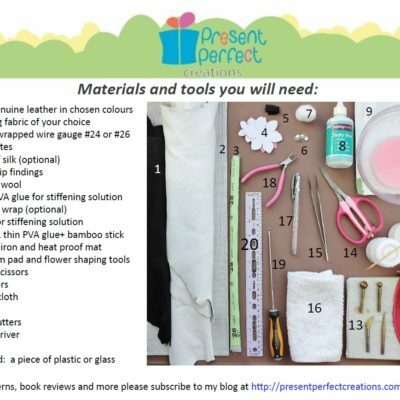 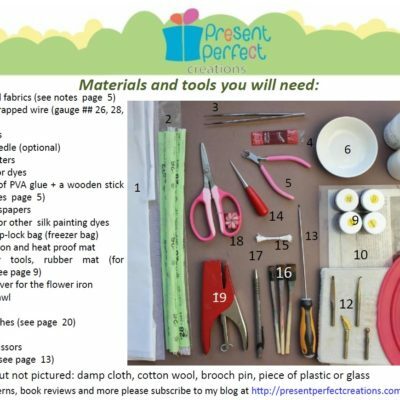 There are several no-tool flower making tutorials for beginners too. 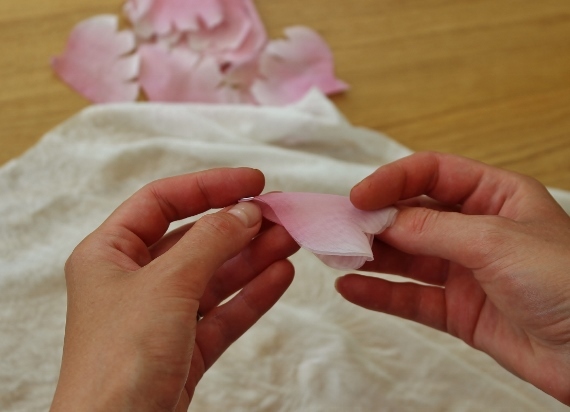 Here on my blog I am explaining how you can shape petals using a so called cold shaping method. 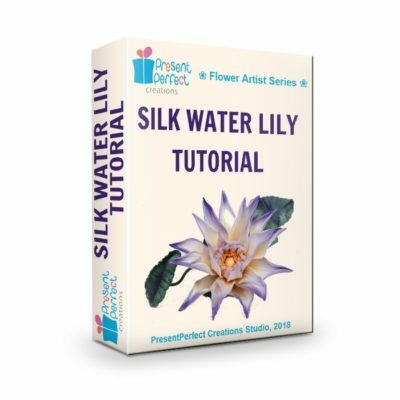 This method works great for such flowers as peonies, poppies, irises etc. on the flame of a candle to be shaped into petals and leaves. 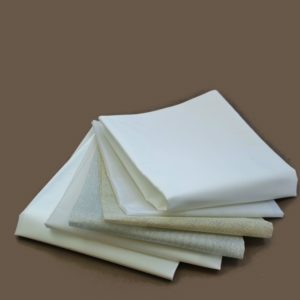 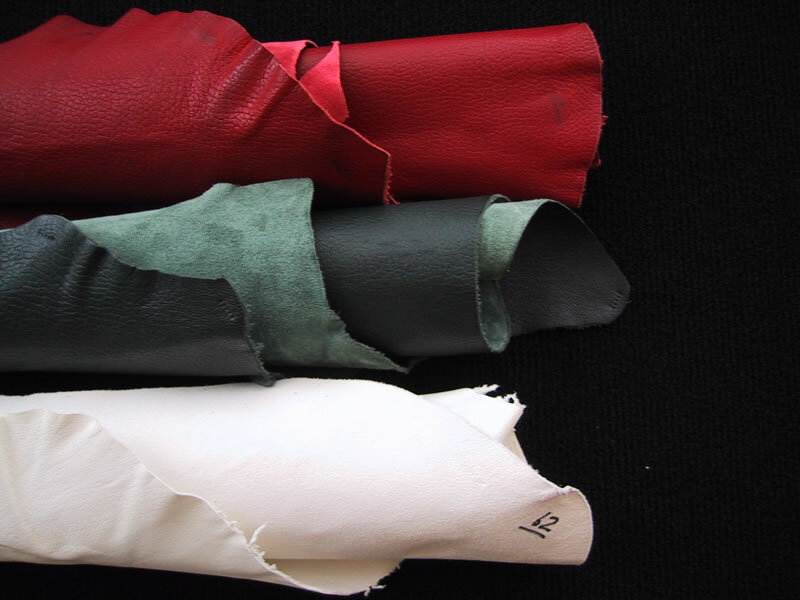 This technique cannot be used for natural fabrics as they simply burn in the flame. 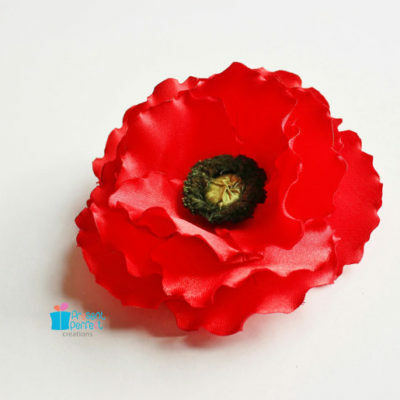 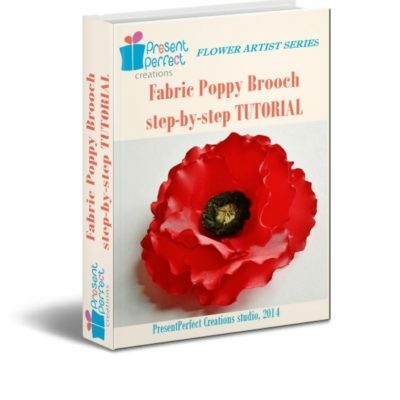 To learn more about this technique and make a bright poppy brooch please check out our Fabric Poppy Brooch Tutorial here. 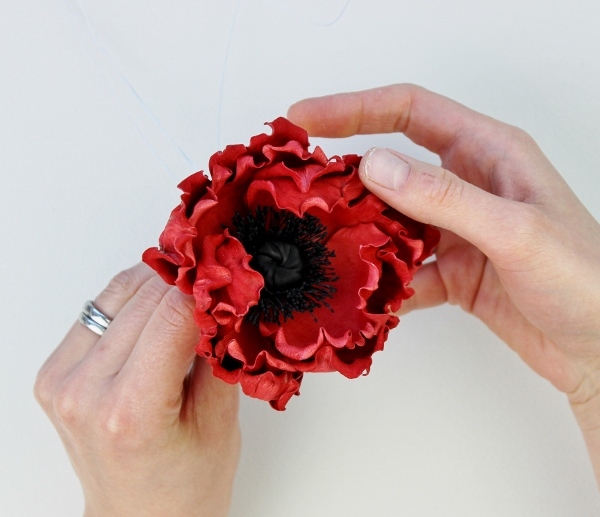 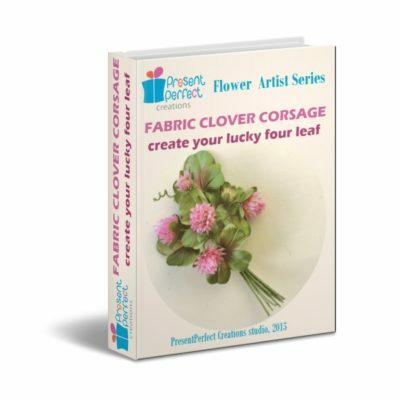 Luckily some fabric flowers do not require tools simply due to their nature and the way they are. 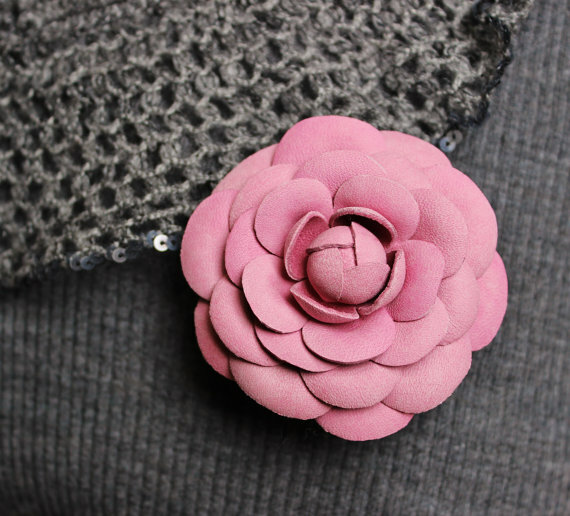 This is the case with Silk Dandelion Clock Brooch. 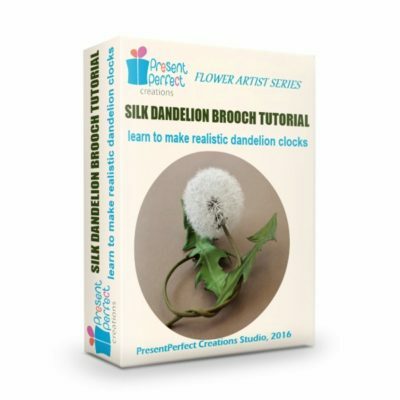 Yes, you’ve got it right, to make a dandelion clock out of pure silk you do not need any millinery tools. 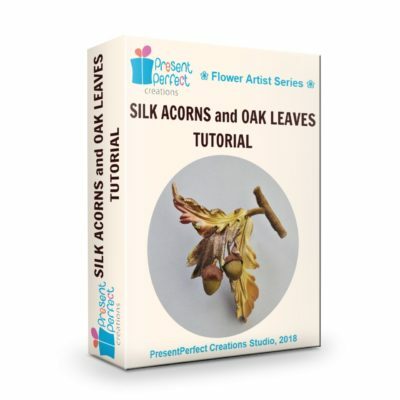 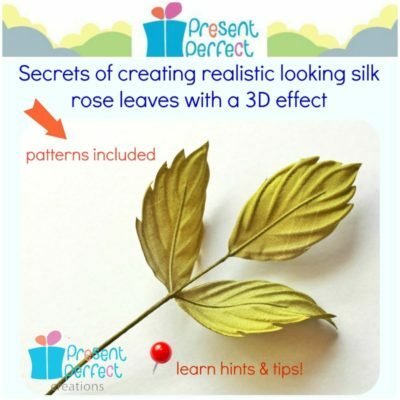 We do use tools to shape the foliage in the tutorial, so if you wish you can get those tools from our website (hurry as the offer is very limited). 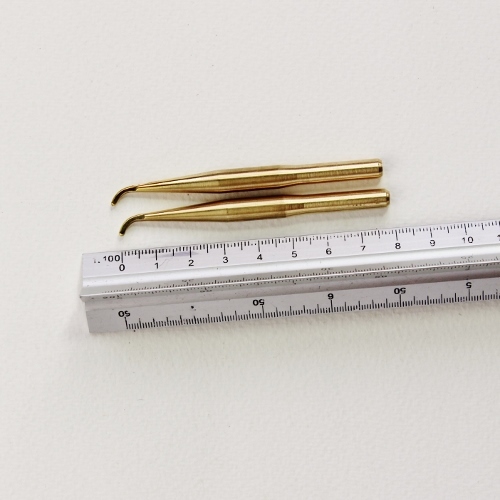 Otherwise feel free to omit the tooling. 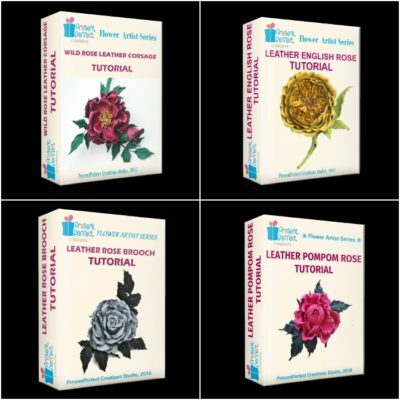 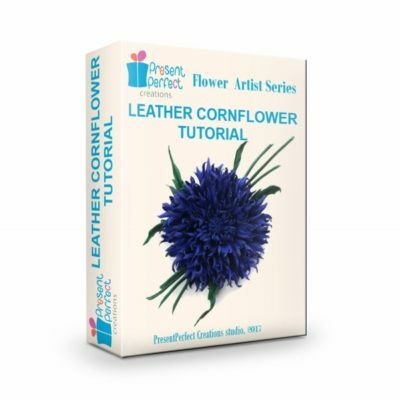 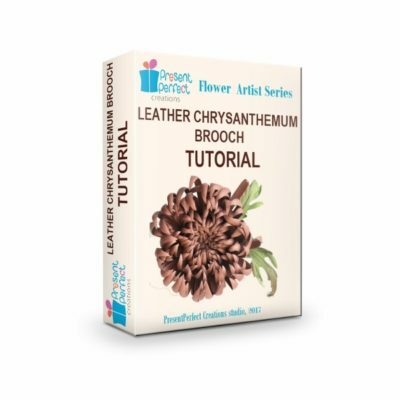 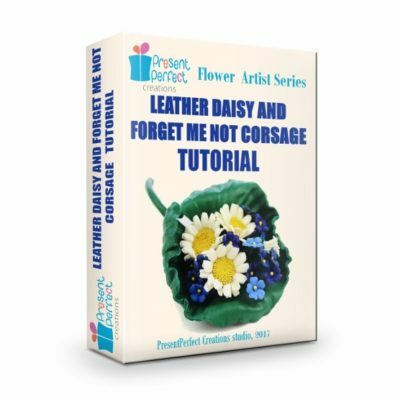 of tools but would really like to have a go at making flowers why not try leather blooms? 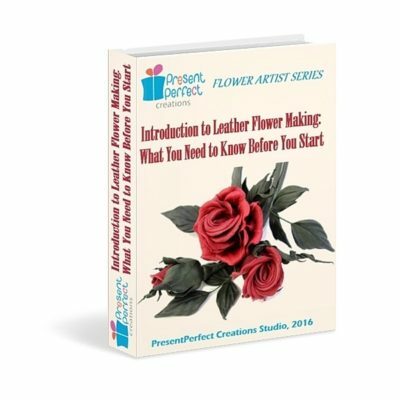 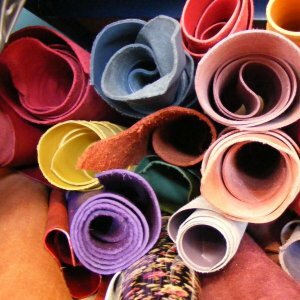 The thing is, leather is such a luxurious and beautiful material to work with that often you do not need to do much before you turn it into a lovely flower. 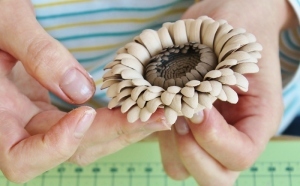 Hand shaping combined with the use of a pair of tweezers can create beautiful as well as pretty realistic flowers. 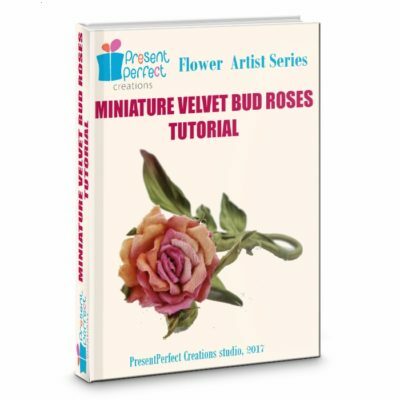 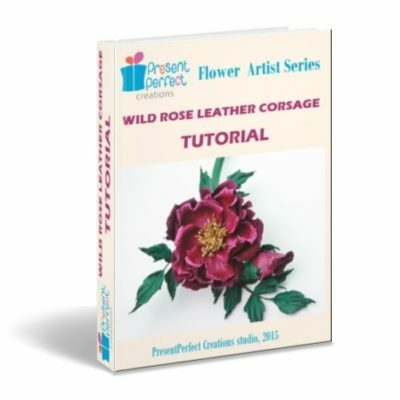 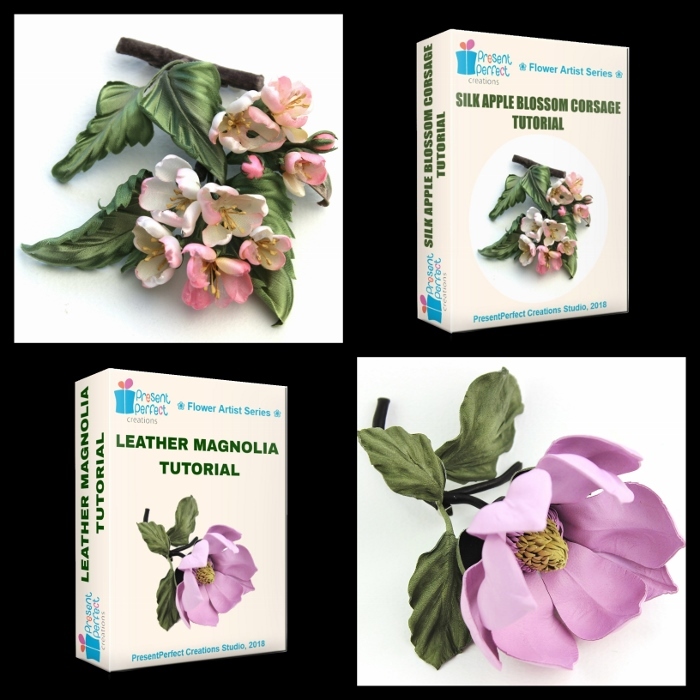 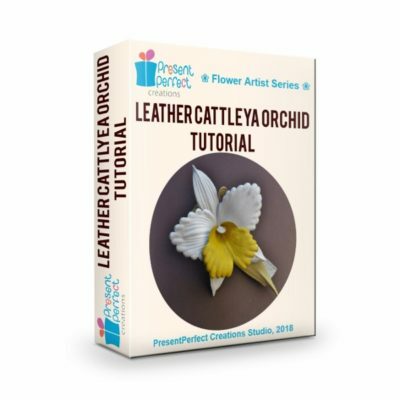 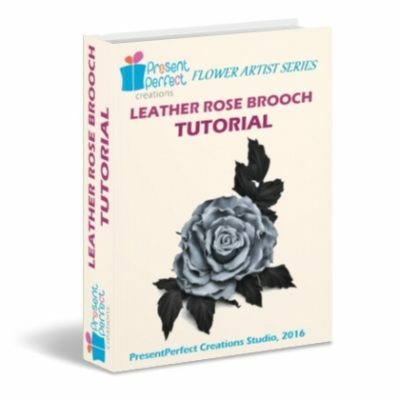 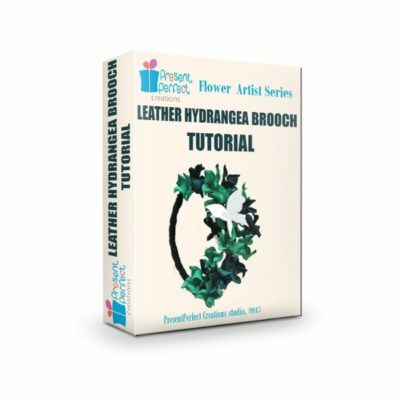 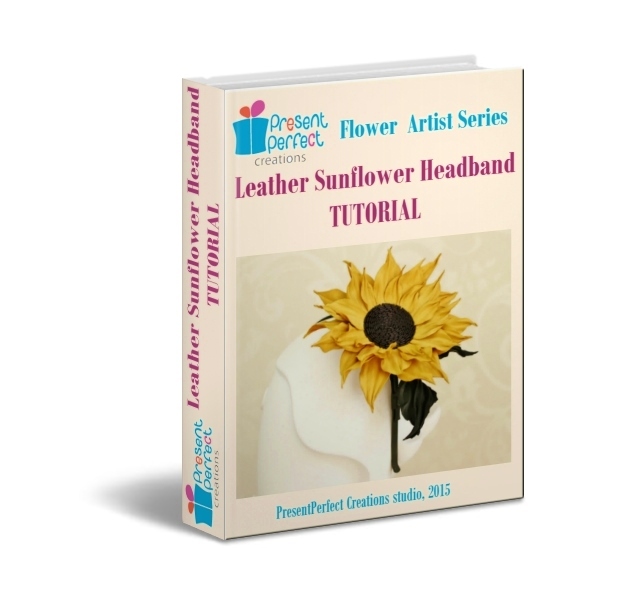 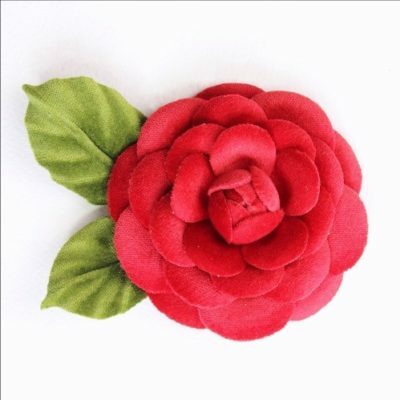 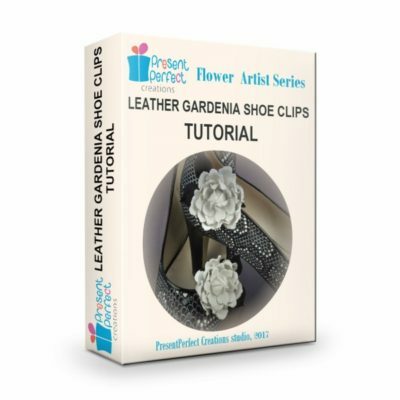 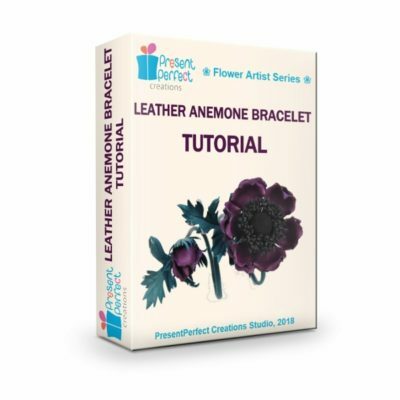 We are happy to offer 3 leather flower making tutorials that require no millinery tools, on Wild Leather Rose Brooch , on Leather Sunflower Headband and on Leather Poppy Choker. 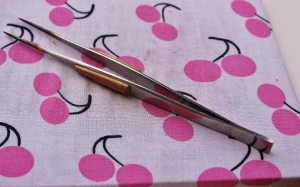 without the need to invest in a set of millinery tools. 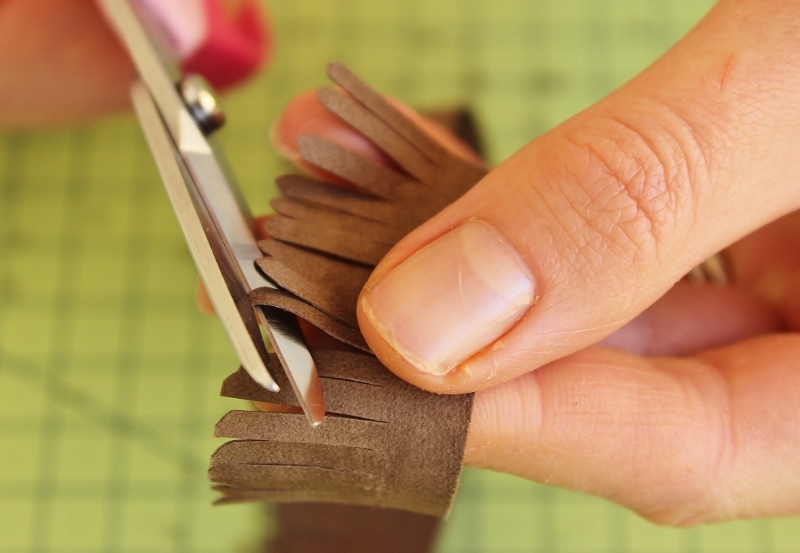 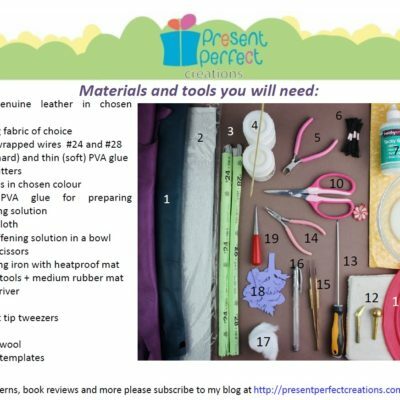 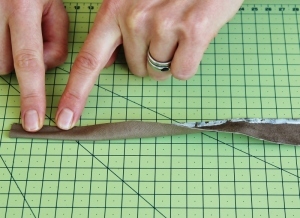 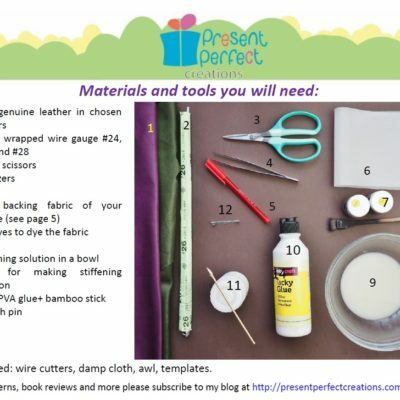 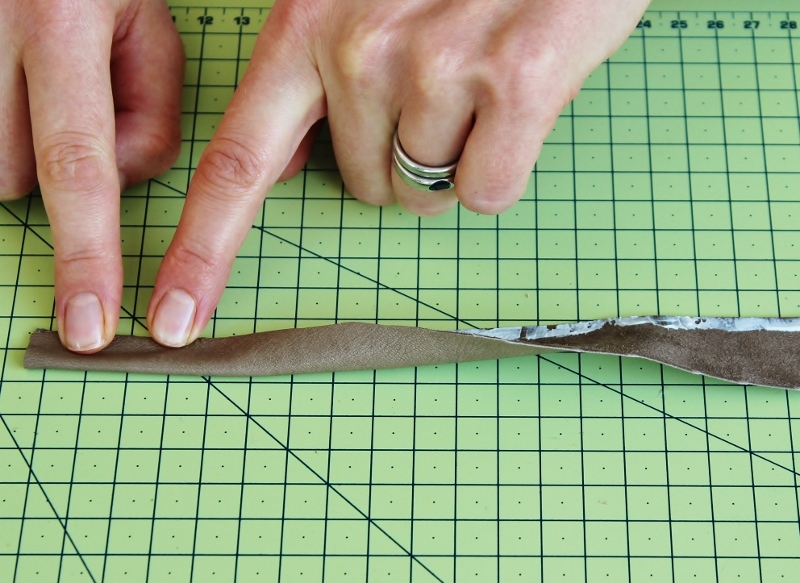 One of our latest no-tool leather tutorials in on the Leather Grapes. 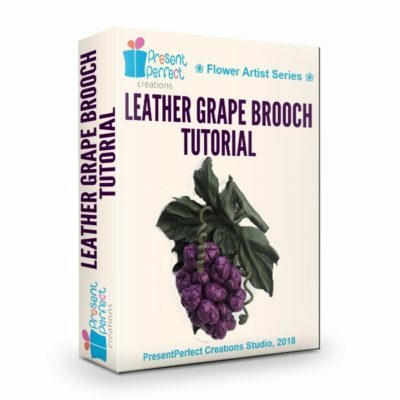 Again, using only your hands and some specialist techniques you can create a beautiful bunch of grapes in a variety of colours and sizes to be used as a brooch, a hat trim or another accessory. 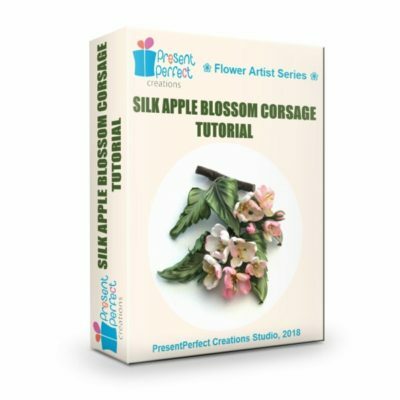 If you wish to work with more unusual material like lace, the iconic tutorial on Lace and Silk Butterfly can be a good one to explore. 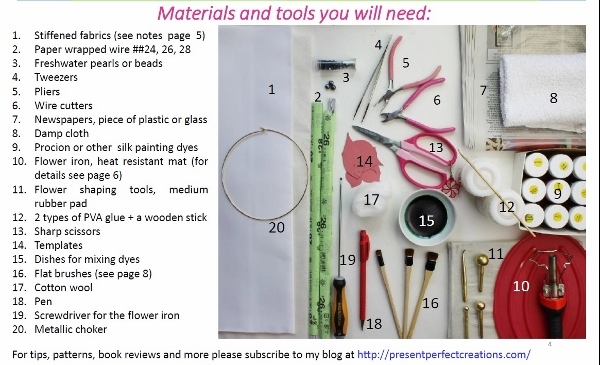 Allthough butterfly wings can be shaped with millinery tools (and there’s a BONUS on how to do this), the butterly in the picture can be made without the use of tools. 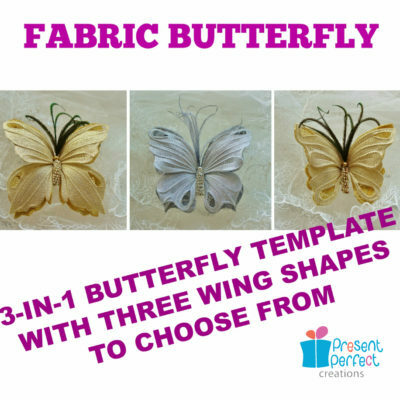 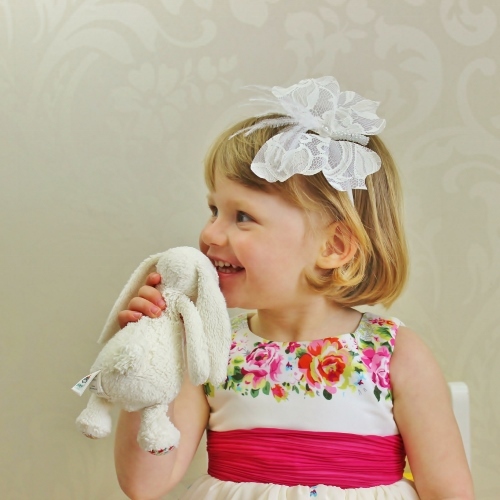 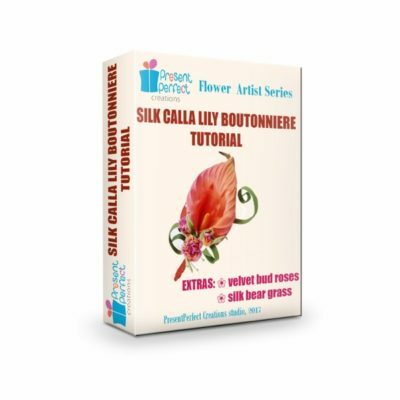 DIY kits for the lace and silk butterfly are also available and sold separately. 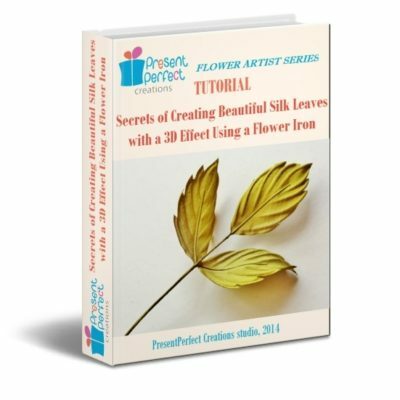 To learn more about the Lace and Silk Butterfly Tutorial click here.